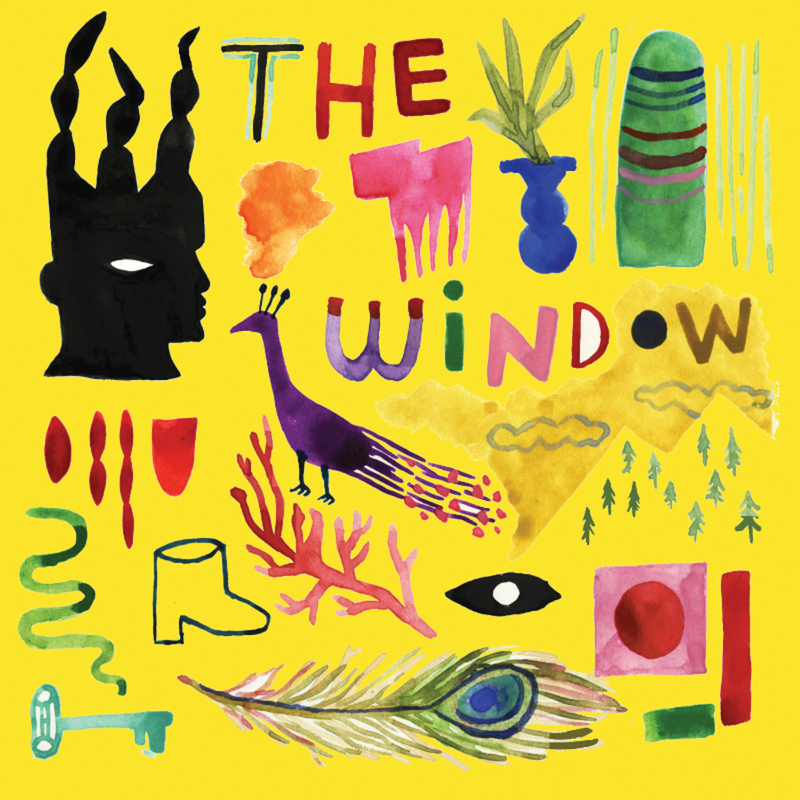 The Window is the fascinating new album of jazz standards by vocalist, Cécile McLorin Salvant, accompanied by pianist, Sullivan Fortner. The pair won a Grammy in 2017 for a song they recorded together from Salvant’s last album, so it was only logical that they explored the full potential of their collaboration for this new project. Standards (particularly ones drawn from the Great American Songbook) often present a problem to jazz listeners. On one hand, they’re pieces of history, wonderful songs, and an incredibly useful educational tool for musicians wishing to learn the language of jazz and the bread and butter of improvisation. On the other hand, standards are often a sign that the elder statesmen of the genre are coming to the end of their careers; a frantic, nostalgic grasp at an imagined heyday of jazz (before these nutty youngsters started mucking about with electricity and atonality). There’s always a worry that when musicians set out to put their own stamp on the standards, that they’ll be held back by an overcautious sense of deference and reverence. Often, these songs follow similar formulae to one another, inviting musicians to explore the beauty of their melodies by straying from them. Unfortunately, this invitation is more often than not ignored. With that ideological struggle in mind, it’s hard to get excited when a musician announces a project comprised mostly of tunes from the Great American Songbook. One of the few musicians that arouses intrigue and excitement in this particular subgenre of jazz is Cécile McLorin Salvant. She has the ability to deftly navigate the intricacies of the original songs and explore them to the very edges of expressive intention, without ever losing the aesthetic warmth of more traditional performances from the likes of Ella Fitzgerald and Billie Holiday. Across The Window’s 17 tracks, Salvant and Fortner play with the fundamental meanings of each song by messing with our expectations of what the harmony, texture and timbre of these tunes should be. Despite the consistent instrumentation and musical origins of these pieces, there’s no uniformity here, meaning that in spite of the number of tracks and lengthy run-time, the record never gets tiresome. Tracks that appear unremarkable or ordinary often take significant, riveting harmonic detours. Richard Rogers’ ‘The Sweetest Sounds’ is one such example where the entire latter half of the track is a winding, harmonic journey in the form of a wonderfully complex Fortner piano solo. The subsequent track, ‘Ever Since the One I Love’s Been Gone’ sees Salvant employing an enormous range of vocal techniques, which have an astounding effect on the overall timbre of the tune. Fortner supplements the experience by organically and intuitively reacting to her every move with subtle, and not-so-subtle reharmonisations. The duo’s interplay is astonishing. Salvant’s virtuosity as a vocalist and as a listener is at its most effective on the Ray Rasch and Dorothy Wayne song, ‘Wild Is Love’. Here, Fortner’s piano playing is skeletal and harmonically fragmented, so while Salvant is singing the melody, she has the dual function of acting as the harmonic centre for the song while Fortner explores a range of ideas around her. The result is wonderfully esoteric, challenging the listener to pick out the most important ideas, and to listen for the moments where piano and voice converge. With an album of reinterpretations of iconic songs, there’s always a worry that the artist will go too far – that they’ll play and experiment to the point where the power of the original song will be lost – or they’ll not go far enough, leaving listeners wondering what the point of them recording this piece was. The music from Leonard Bernstein’s West Side Story presents this problem most significantly, but thankfully, Salvant has a track record for powerful reimaginings of songs from the legendary musical. Her rendition of ‘Something’s Coming’ on her 2015 album, For One to Love, is thoughtful and original, so it’s no surprise that her version of ‘Somewhere’ on The Window is equally so. It opens with a beautiful piano overture, before Salvant’s dynamic, somewhat deranged vocals enter. She captures the desperation of the original song that most covers neglect with her almost aggressive vocal slides and raspy lower register, supported by quietly dissonant accompaniment from Fortner. The record closes with an expansive, swirling performance of Norma Winstone’s ‘The Peacocks’. The stark contrast between Fortner’s repetitive, cyclic piano movements and Salvants free flowing vocal melody is made even more strikingly beautiful by the contributions of tenor saxophonist, Melissa Aldana, whose breathy tone adds to the cold, windy aesthetic of the piece. It’s a beautifully contemplative way to end such an unexpectedly diverse record. The Window, while not being consistently marketed as such, is a true collaborative effort (although, to her credit, Salvant hasn’t once mentioned this record without name-checking Fortner, despite the record label neglecting to do so). The two musicians have crafted genuinely original approaches to a collection of songs that for many other musicians would be utterly beyond their creative reach. The chemistry of the duo and their clear love and appreciation for the source material brings an authenticity to their relentless exploration and boundary pushing. This is how you do standards. You can purchase the album through iTunes and Amazon.